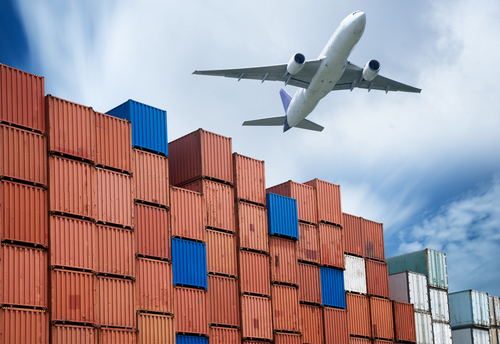 Top Air Freight Trends to Look Out For in 2019 - Specialty Freight Services Inc.
As another year begins, industry experts are weighing in on the ways in which air freight will change and improve in the coming months. While demand for air freight surged in 2016 and 2017, resulting in the strongest growth since 2010, that growth began to slow in early 2018, leveling out at about 4% growth in 2018, compared to 10% in 2017. In April 2018, capacity grew faster than demand for the time in 20 months. While growth will still remain positive in 2019, the growth of demand is predicted to continue to slow down in the coming year. IATA estimates demand growth for 2019to be slightly less than 2018 at 3.7%. As a result of the slowing demand, airlines are expected to adapt their capacity strategies to increase efficiency. Though the amount of aircraft is predicted to increase, we can expect less cargo capacity per flight in 2019. Rising tensions and regulatory changes have been the focal point of discussion surrounding the freight industry in 2018, and 2019 will be no exception. As Brexit will conclude in March 2019, industry stakeholders’ operations will be significantly impacted – however, there is still much uncertainty about exactly what those impacts will be. Many carriers are simply preparing for higher costs, process complex and potential losses. Furthermore, with increasing trade tensions between the U.S. and China, many shippers are forming contingency plans and considering the possibility of moving production out of China completely. Thus, changes in the industry may increase dramatically in 2019. The Southeast Asian air freight market is one of the top rising markets in the world, and 2019 will see additional growth for the region. One of the primary factors contributing to Southeast Asia’s growth is the shifting of production of goods into the region due to rising manufacturing costs in China, as well as concerns about China’s tensions with the U.S. Additionally, in November 2018, the economic ministers of the Association of Southeast Asian Nations (ASEAN) signed an agreement to support the facilitation of cross-border e-commerce between ASEAN members. © 2019 Specialty Freight Services Inc.